So, You bought a new computer or probably having some sort of hardware issues or just want to make sure that your hardware temperature is not going any high, AND without restarting and checking the temperature from the Bios. 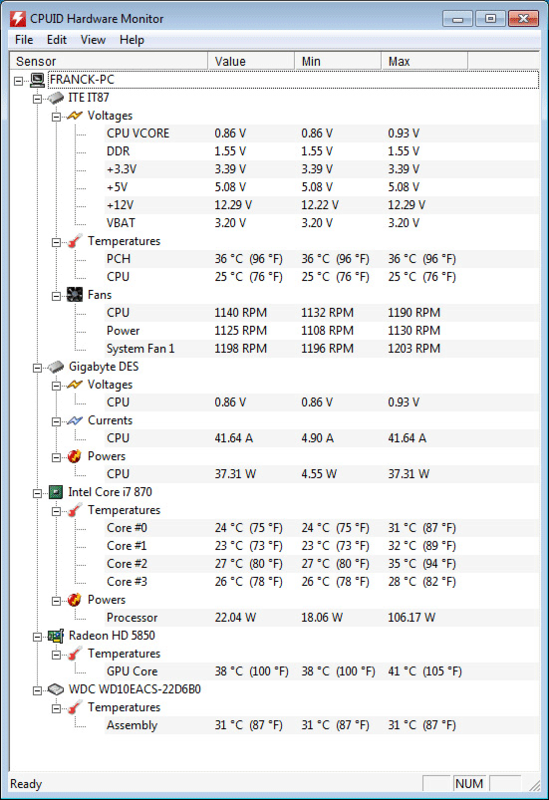 How to keep your computer’s hardware temperature monitored? As you can see, It shows the temperature of each core in your CPU, GPU and HDD along with the voltages and power consumption. It it portable and works on Windows 64 and 32-bit. If you’re running Linux you may use lm-sensors or computertemp.